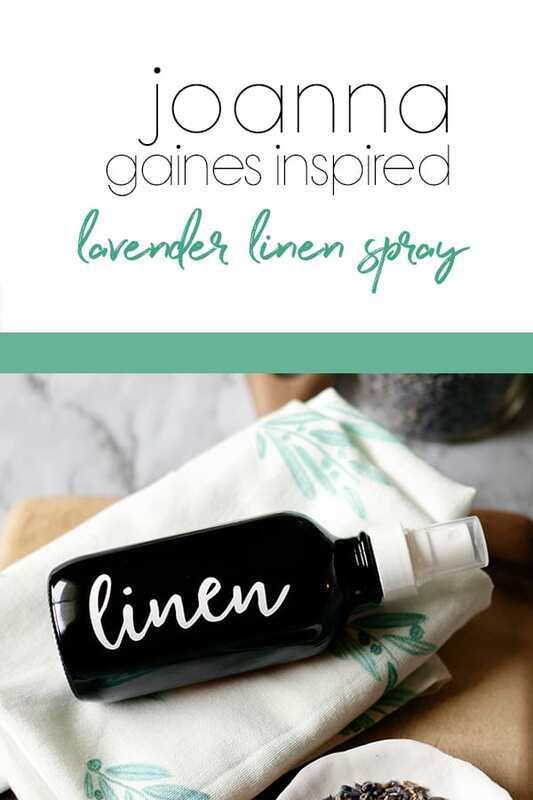 Refresh your space with a Joanna Gaines inspired DIY lavender linen spray! 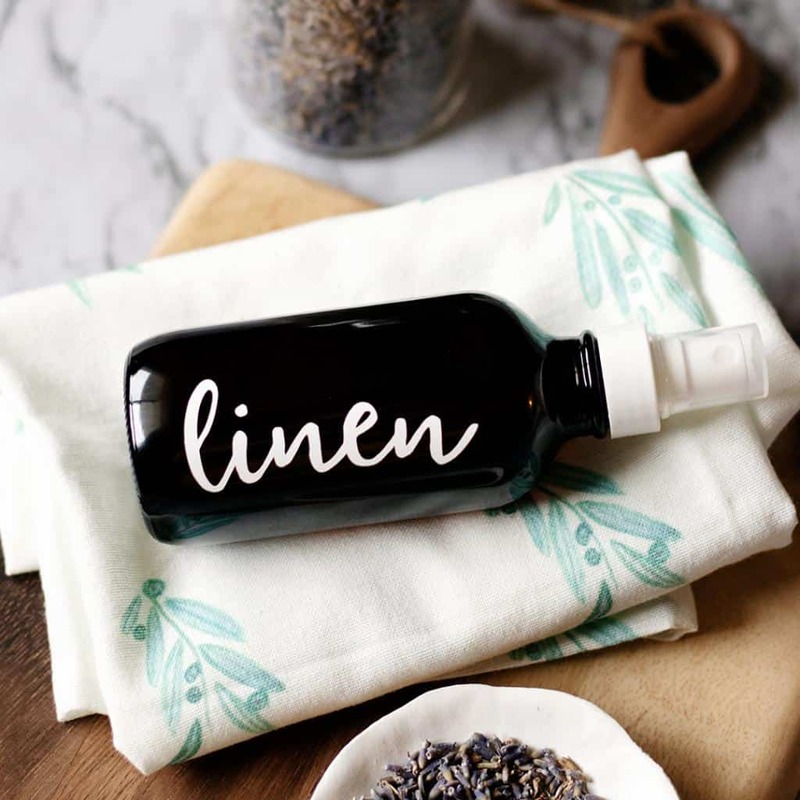 Linen sprays are one the quickest and simplest ways to refresh a space. They can be used in any room of the home and all it takes is a few quick sprays. How’s that for easy and convenient? Joanna Gaines says she likes to keep a linen spray on hand to give the contents in her linen closet a quick spritz or to refresh the spare bedroom when their expecting guests. 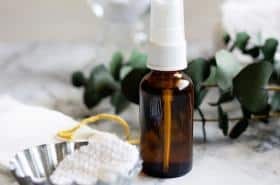 If you have a room in your home that sits idle more often than not or a closet with linens you rarely use then you’ll find a linen spray quite handy too. And who doesn’t love the fresh floral scent of lavender? It’s an ingredient in Joanna Gaines’ very own linen spray recipe. She recommends using essential oils to customize a linen spray for a light natural scent. And that’s exactly what we are going to do with one added ingredient for an unparalleled fragrance, free from toxins. There is only one scent I think of that is as soft and comforting as lavender. It reminds me of fresh baked sugar cookies in our family farmhouse. Lavender and vanilla are equally great scents to fragrance the home for feelings of warmth and comfort. 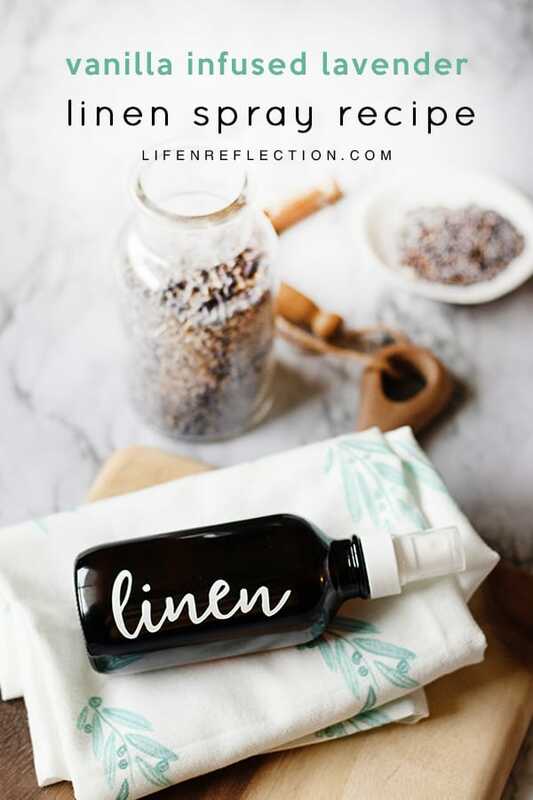 The addition of vanilla to a homemade linen spray creates one soft and soothing scent! And something I’ve discovered after making several room sprays is vodka works best. Unlike baking soda, vodka leaves no residue yet naturally deodorizes just as well. Additionally, it’s scent-free compared to rubbing alcohol. Let’s get to it! Using a funnel to pour 1/4 cup vodka into a 5-ounce spray bottle. Add one teaspoon of lavender essential oil to the vodka. Combining these first will allow the oils to emulsify before adding the other ingredients. Next, add half a teaspoon of clear vanilla extract and carefully swirl to combine. After top with a 1/4 cup distilled or purified water. Place the spray nozzle and cap on the bottle and shake well to combine. Using a funnel to pour 1/4 cup vodka into a 5 ounce spray bottle. Add one teaspoon of lavender essential oil to the vodka. Combining these first will allow the oils to emulsify before adding the other ingredients. What’s the best way to use a linen spray? I like to spritz it on wool dryer balls as well just before starting the dryer – as a laundry scent booster. In addition to spraying our bedsheets before bed. 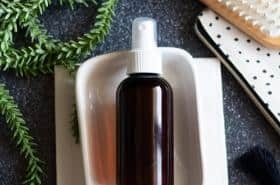 You can make a similar version as a sleep spray to utilize lavenders’ widely known use to improve sleep. 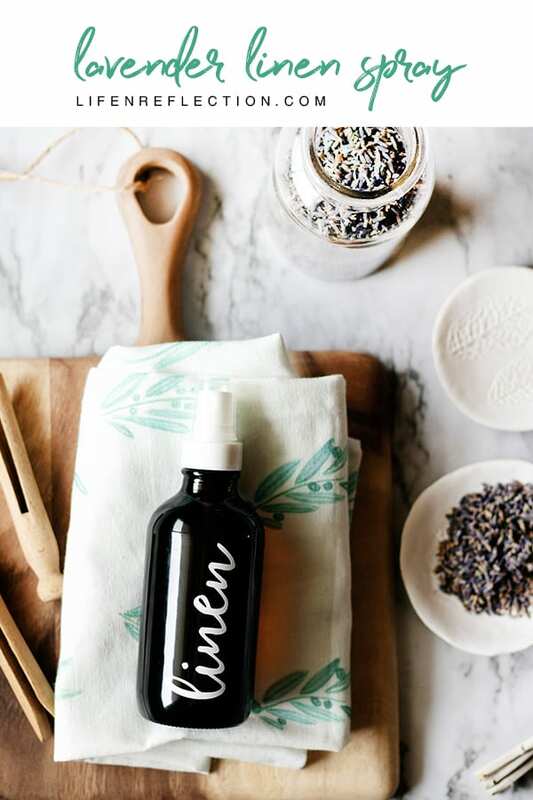 Pin this simple lavender linen mist to save for later or print the recipe above to make it now. Tag #lifenreflection to share what your natural living journey on Instagram. P.S. Is it just me or are you smitten by lavender too? 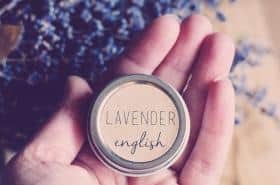 Enjoy more lavender in my simple recipe for Lemon Lavender Sugar Scrub! oh – sounds so luxurious and easy to do! Thank you. It is a treat Jill, but I’m a sucker for the clean smell fresh linens! !